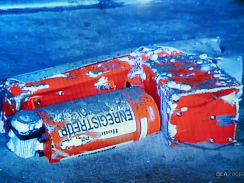 After a 2 year search, the flight data recorder and voice recorder from 2009’s Air France flight 447 have been found. There are several flight 447 conspiracy theories about the crash, though most people seem to agree that it had something to do with the massive storm in the flight’s path. But after nearly 2 years, maybe we’ll find out more about the final moments of Air France Flight 447 and why it crashed into the ocean. UPDATE (9/2/2010 @ 4:30pm EST): Early reports said that the rig was Vermillion 398, but more recent reports all claim that the explosion and fire was on the Vermillion 380 rig. But we’re not out of this mess just yet. Now people are worried that the pressure in the well may cause another leak somewhere else (link). Sheesh. Update: The following post is full of data and topics that I found when researching worst-case scenarios from the BP Oil Spill in the Summer of 2010. I wrote the post itself on June 14, 2010, and I’m pretty sure everything I found and listed below is unfounded and untrue. I should probably take it down. But I’ve decided to leave it up, as it gives us a glimpse into the hysteria that develops around disasters. Happy reading! I’ve been doing some research on the interwebs, and here is the stuff that is really scaring me. A lot of the information I found is alarming. To be clear: I do not know if any of this information is true. Please give this a read. Please feel free to comment with other resources. Let me know if the information in this post is on target. Hopefully, this entire blog post is completely false. 1. That’s really deep, dude. 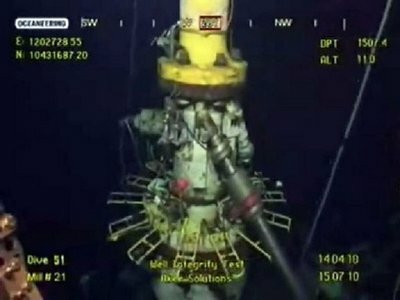 BP was drilling in an area where it is about a mile from the platform to the ocean floor. That means they had to go down 5,000+ ft just to get to the ocean floor. Humans can’t even go down to that depth because of the near-freezing temperature and the pressure. 2. The Russians did it on land. Maybe we should try it in the water. Once they reached the ocean floor, BP was trying to drill a superdeep well – maybe as deep as the Russian’s Kola SG-3 borehole which reached 40,000ft deep back in 1989. Basically, BP was drilling somewhere in the range of 25,000-30,000ft below the ocean floor. Apparently that is REALLY deep. And from what I can find, drilling to those depths has never been attempted in the Gulf of Mexico. 3. Who needs an anchor anyways? To make things even more unsafe, the BP Deepwater Horizon platform was a floating platform that was kept in location by a sophisticated GPS system. That means the the BP platform was not even anchored to the ocean floor, and that is not a very stable/safe way to drill for oil in deep waters. Typical oil pressures (pounds per square inch aka psi) are in the area of 1,000 psi. BP had reached such a depth that they were seeing anywhere from 20,000-70,000 psi from this oil well. Some geologists predict that the psi at such depths would actually be in the range of 80,000-100,000 psi. 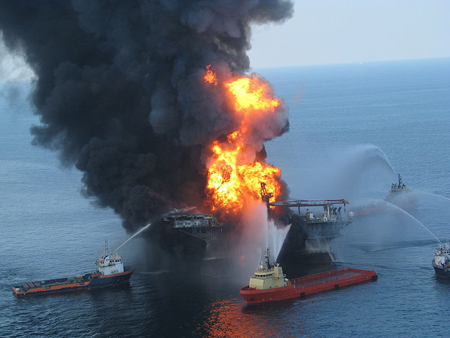 Due to the massive pressures, every one of the fail-safe measures and valves on the BP platform failed. And there is even a rumor that BP was warned beforehand about a warped fail-safe valve by one of their own employees. Regardless, they are fairly certain that nothing could have stopped that oil because the pressures were too high. We simply don’t have anything that can stop that type of pressure. 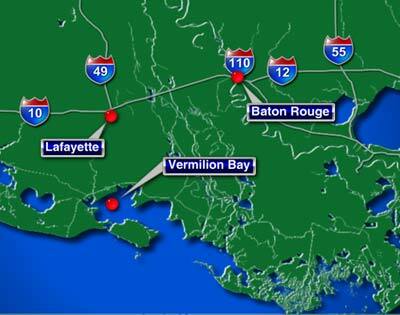 Testing data also shows levels of volatile organic chemicals that far exceed Louisiana’s own ambient air standards. VOCs cause acute physical health symptoms including eye, skin and respiratory irritation as well as headaches, dizziness, weakness, nausea and confusion. Louisiana’s ambient air standard for the VOC benzene, for example, is 3.76 ppb, while its standard for methylene chloride is 61.25 ppb. Long-term exposure to airborne benzene has been linked to cancer, while the EPA considers methylene chloride a probable carcinogen. The one we should really worry about is benzene. Acceptable levels of Benzene are 0-4 ppb, but some people are reporting Benzene levels near the Gulf of Mexico in the range of 3,000-4,000 ppb. According to some people, the levels of those 3 chemicals in particular will cause a massive increase in sicknesses, cancers and deaths for people in the southeastern United States. Of course, the EPA is not reporting on the levels of these chemicals in the air right now. Why would they? It would probably create a panic. The oil would eventually kill the entire Gulf of Mexico. And then it would continue spreading to other oceans. The oil would reach Europe in a few years. 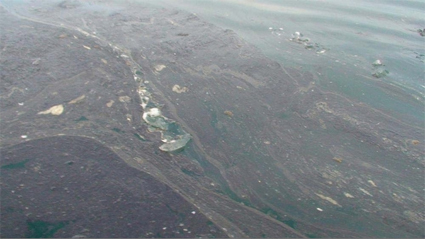 That amount of oil floating on the surface of the Atlantic Ocean would cause all sorts of massive problems. For example: If lightning struck the ocean’s surface, it could spark an oil fire. That fire would eat up a lot of the oxygen in our atmosphere. Obviously, that scenario is problematic for several reasons. PS. The information I listed in this post comes from a variety of websites. A lot of this information fits into a doomsday scenario. And then some of it is textbook conspiracy theory. Regardless, there is something really bad going on down in the Gulf of Mexico. It could be something that we really have no way to stop. I hope and pray that we find a way to get ourselves out of this mess. It’s bigger than BP. It’s bigger than us. If even a few points in this post are true, we are going to need a miracle. 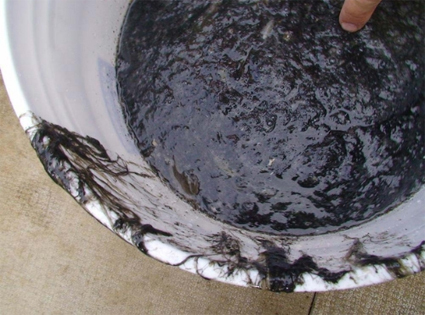 Well, it turns out that this entire post was full of sh*t. Apparently, the oil simply disappeared, probably to the bottom of the ocean floor. That is better than a buzzillion gallons floating over to Europe. But I guess the final question can only be: Have the drillers changed anything to ensure this doesn’t happen again? I hope so. Is it an alien mothership? Or is it another weather phenomenon? Personally, I’m not sure. However, given the fact that this thing does not move, it is very likely that it is some strange result from the cloud cover. I am not a meteorologist, but that explanation makes sense to me. However, even though we have pictures, a video and potentially tens of thousands of people witnessing this event, we need more evidence. Did it fly away rapidly? Did it simply fade away? Did it move at all? Was it visible from all angles? In some ways, I’m on the fence about finding conclusive proof of extraterrestrial life. Think about this: If we have a sighting that is indisputable proof of alien life, then it is very likely that our time is about to end. Maybe it will be better for us to have these mysterious sightings. Back in 1976, there was a swine flu scare. Several doctors knew that there were neurological disorders and complications associated with the H1N1 vaccine, but that information was not made available to the public. There were reports of GBS affecting some people who had received swine flu immunizations in the 1976 U.S. outbreak of swine flu. Overall, there were about 500 cases of GBS—25 of which resulted in death from severe pulmonary complications— which, according to Dr. P. Haber, were probably caused by an immunopathological reaction to the 1976 swine flu vaccine. Other influenza vaccines have not been linked to GBS, though caution is advised for certain individuals, particularly those with a history of GBS. After the 1976 swine flu scare and vaccination program, over 300 claims came in from families of victims who died from GBS related to the swine flu vaccine. Concerns include possibly using chemical additives, or adjuvants, to boost the effectiveness of the vaccine. Adjuvants have never been used in flu vaccines in the United States, but they have safely been used in other vaccines, such as Tetanus. There is a fear of the Mercury contained in vaccines. A study of vaccinated primates showed increased neurological disorders and nonsocial behaviors similar to autism. There is data that suggests more vaccinations = more autism. And there is circumstantial evidence: In an Amish community that shuns vaccinations, there are only 4 cases of autism in a community of 22,000 people. A bill recently passed in the Massachusetts Senate says that if there is a swine flu pandemic and you don’t get the swine flu vaccine, you could be ordered into quarantine. If you refuse the quarantine, you could face a fine of $1,000 per day that you resist. Many citizens are concerned that the bill’s provision will abuse their Constitutional Rights. Well that is all for this summer. Unless someone dies today. I wouldn’t put it past Death. He’s had a busy summer. If I were a celebrity at any level, I would watch my back today. 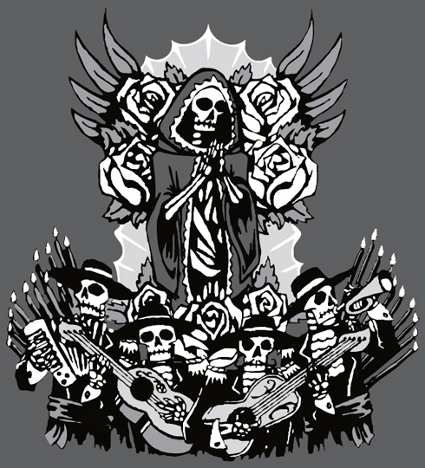 Godspeed, Death. The U.S. government has bought 195 million doses of H1N1 swine flu vaccine for a possible autumn vaccination campaign, a U.S. federal official said Thursday. Autumn vaccination campaign? I know there is currently a pretty strong flu vaccination campaign every Autumn. But many people ignore it. If the US government wants everyone to get vaccinated, they will need to scare the crap out of people. Maybe with TV ads, newspaper ads, search campaigns, websites, etc… But that is really a doomsday scenario. I hope it doesn’t get to that point. I guess the point is: If you can get a flu vaccine this year, get one. Those stats are very alarming, considering the fact that we are not currently in flu season here in the US. That’s why this story is so crazy. Just imagine what those numbers could be when flu season hits. 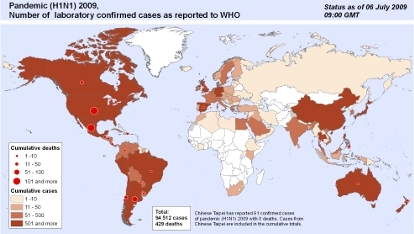 According to an article at Reuters, the WHO has declared the H1N1 virus to be ‘unstoppable’. Furthermore, the World Health Organization has given drug manufacturers a green light to produce vaccines against the current pandemic H1N1 strain of the influenza virus. Dr. Marie-Paule Kieny, WHO director of the Initiative for Vaccine Research said, “The committee recognized that the H1N1 pandemic … is unstoppable and therefore that all countries need access to vaccine.” The WHO’s Strategic Advisory Group of Experts on Immunization, or SAGE, recommends that all nations provide a vaccine to their health workers – nurses, doctors and technicians. Then, each nation must create a priority list for vaccinations. Uh oh. I wonder where bloggers will be on the list. The deaths of Chloe Buckley, six, and Dr. Michael Day mean three people with no previous health problems have now died of the illness out of a total of 17 deaths across Britain. Sorry about the doom and gloom Tuesday. Whatever you do, don’t laugh at the H1N1 swine flu. It’s a very distant cousin of the influenza virus of 1918, which killed an estimated 50-100 million people while infecting upwards of 500 million people. Please take this virus seriously. If you can get a vaccination, please do.